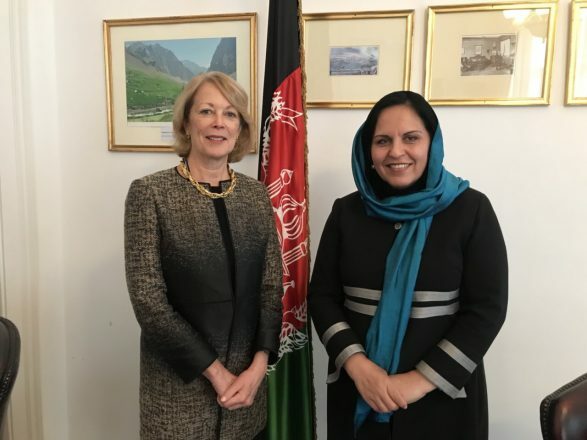 Tuesday 27 November 2018- Ambassador Khojesta Fana Ebrahimkhel met her counterpart Ambassador Jackie Wolcott, U.S, Ambassador to the UN in Vienna. They had detailed discussions on issues of mutual interests, including peace negotiations and the ongoing efforts of the Government of Afghanistan in preserving the overall development and achievement of past several years in particular the women’s role in peace talks with the Taliban. Ambassador Ebrahimkhel also attached great importance to the role of the U.S in Countering Terrorism and Narcotics and thanked the U.S for supporting Afghanistan within all UN mandates including CTBTO, UNODC and, IAEA. 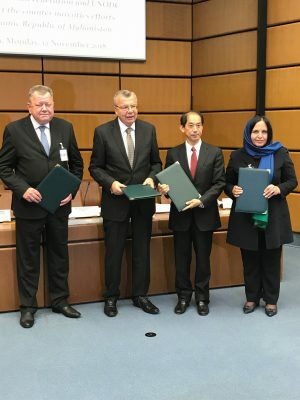 The United Nations Office on Drugs and Crime (UNODC), Afghanistan, Japan and the Russian Federation signed a declaration today, giving an overview of the past achievements and highlighting the new development of the Trilateral Cooperation between UNODC, Japan and Russia to support counter narcotics efforts of the Government of Afghanistan. The successful partnership, which is contributing to enhancing the interdiction efforts and regional cooperation, has proven to be among good practices under the principle of common and shared responsibility for addressing and countering the world drug problem. 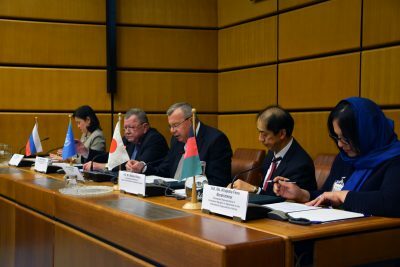 This cooperation was initiated in September 2012 with the delivery of counter narcotics training provided to law enforcement officials from Afghanistan and its neighbouring countries of Central Asia, conducted at the All-Russian Advanced Training Institute of the Ministry of Internal Affairs of the Russian Federation, or the “Domodedovo Training Centre” with the financial and technical support of Japan. The Trilateral Cooperation is further expanding with the recent launch of the new project on the establishment of a counter narcotics canine (K9) unit in Afghanistan in October 2018. The first activity of the K9 project commenced with a training course for the administrative staff of the future unit to be established in Kabul, which was conducted at the Rostov Dog Training School for Operations and Search Activity of the Ministry of Internal Affairs of the Russian Federation with the financial support of Japan. H.E Ms. Khojesta Fana Ebrahimkhel, Ambassador and Permanent Representative of the Islamic Republic of Afghanistan along with Mr. Hassan Sorrosh, Head of Economic Department of the Ministry of Foreign Affairs of Afghanistan took part at the OSCE Asian Conference hosted by the Government of Australia on 5-6 November in Canberra, Australia. 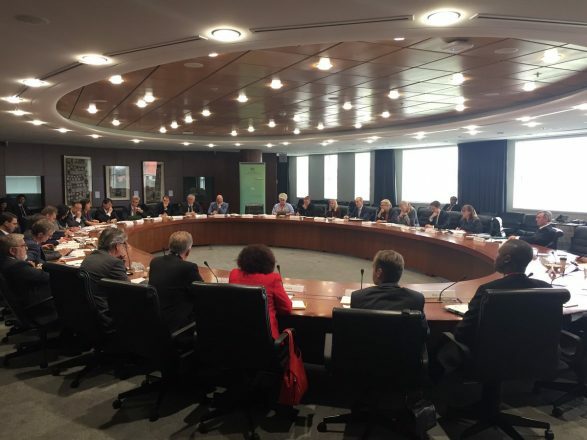 The conference was attended by high-level delegates from the OSCE Secretariat, Participating States, the Asian Partners for Cooperation, as well as representatives from the Embassies and Permanent Missions based in Canberra. In her speech Ambassador Ebrahimkhel emphasized the important role of women in promoting economic development and social welfare. 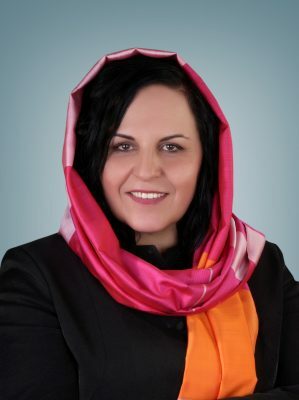 She stated that regional connectivity and trade facilitation within the context of regional co-operation is the main pillar of Afghanistan’s foreign policy and called upon broader regional co-operation with a view to enhancing the role of women and enabling them to participate in security, social and economic activities in Afghanistan, the OSCE region and beyond. In this context, a women’s economic empowerment component has been recently integrated into the agenda of the Regional Economic Cooperation Conference on Afghanistan (RECCA) with a view to facilitate market access for women from Afghanistan and the region at both, the regional and the international level. Mr. Soroosh contributed to the 2nd session of the conference focusing on Trade Facilitation and highlighted the recent bilateral and trilateral trade initiatives and agreements between Afghanistan, Central and South Asia. He also emphasized the regional economic cooperation as an important tool to enhance peace and security in the OSCE region and beyond. Overall, the Asian Conference in Canberra provided fruitful discussions and valuable insights on common opportunities and challenges for the OSCE region and beyond.